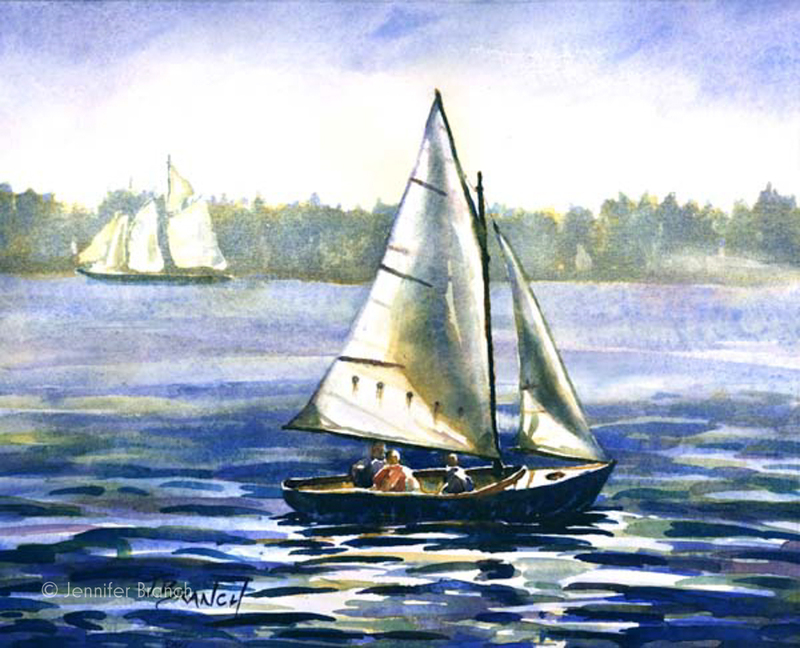 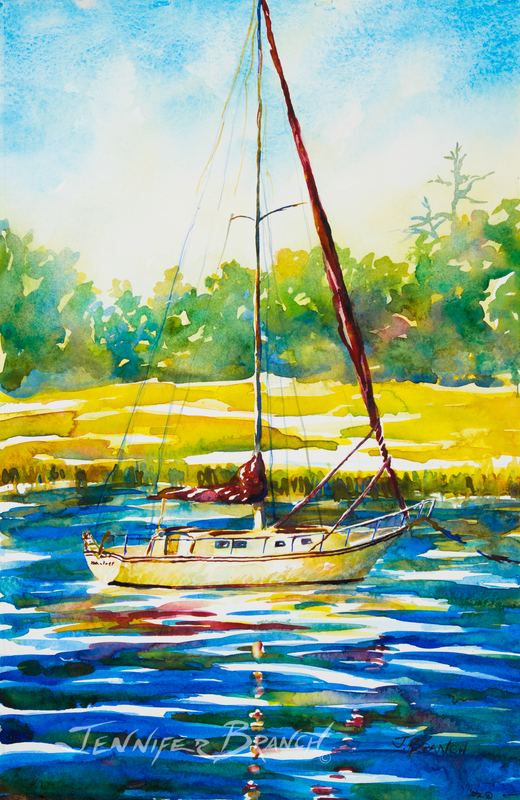 Feel like you're going for a quick sail with this cheerful watercolor painting of a small sailboat. 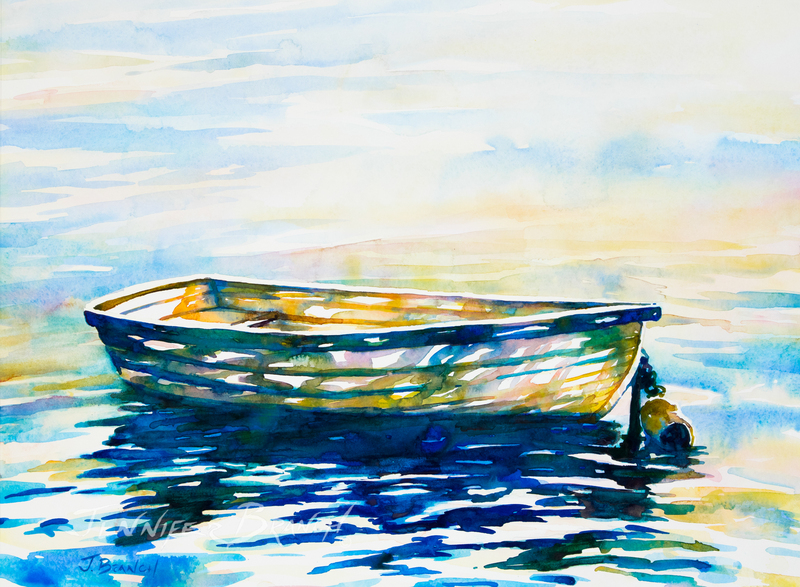 It's a fast boat and just meant for that trip around the bay on a Saturday afternoon. 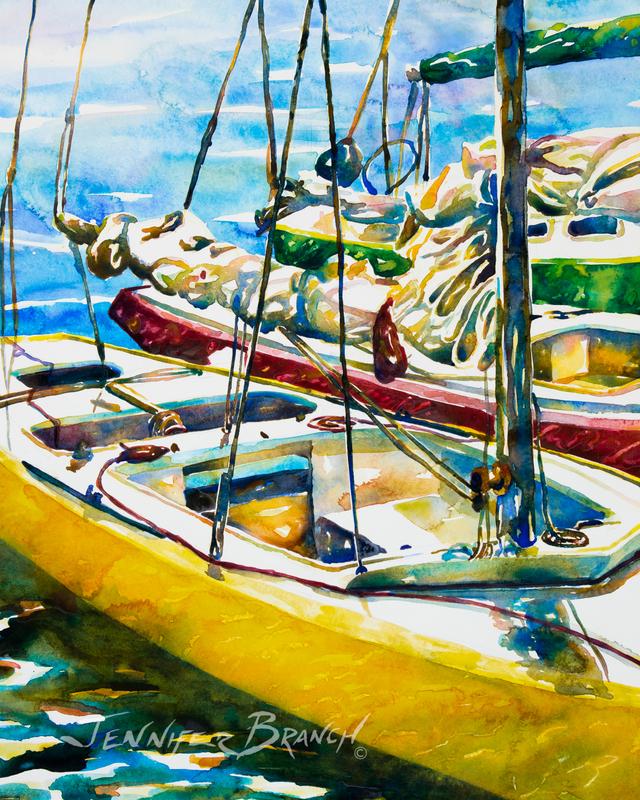 The sky is blue, your boat is a cheerful yellow and life is wonderful.